This article was originally written by Marnie Sullivan, and is part of a Community Service-Learning Project at the University of Alberta. The International Ecotourism Society defines ecotourism as the “responsible travel to natural areas that conserve the environment, sustains the well-being of local people, and involves interpretation and education.” To find out what impact ecotourism has on these parts of the Amazon, Marnie interviewed Kristi Foster, the Project Coordinator for Conservation, Research & Education towards Environmental Sustainability (Crees), a non-profit ecotourism project in the Manu Biosphere Reserve, a UNESCO World Heritage Site and one of the largest protected areas in Peru. 1) What were the environmental concerns for the local people in this area of the Amazon before these ecotourism projects began here? Crees works primarily with local people who live in Villa Salvación, in Manu Biosphere Reserve, located between two protected areas, Manu National Park and Amarakaeri Communal Reserve. 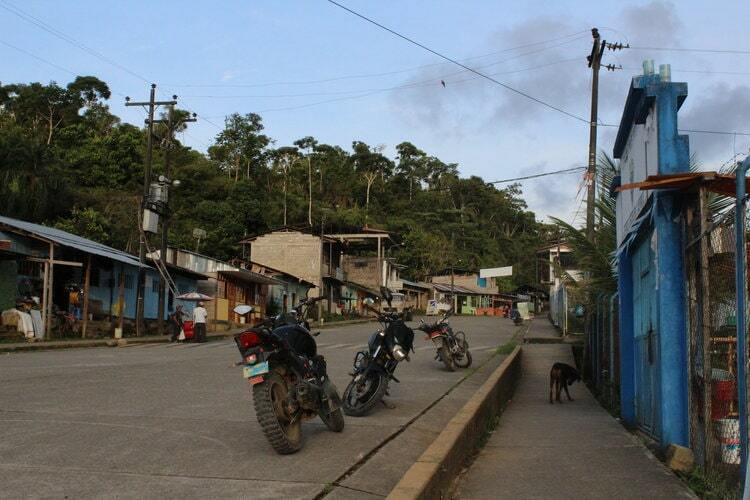 This community is comprised primarily of settlers originally from the Andes who migrated to the Amazon. The environmental concerns in this area of Manu Biosphere Reserve, speaking generally, are agricultural expansion, deforestation, infrastructure development, resource extraction, and population growth. One of the greatest threats, as for much of the tropics, is unsustainable agriculture. Local people rely largely on slash-and-burn agriculture, in which forest is cleared and burnt for agriculture, land is farmed until the exposed soil becomes too nutrient-poor to support production, and farmers must clear new swathes of land. This tends to be an unsustainable cycle for both the environment—resulting in ongoing clearing of forest—and for the farmers themselves, because the cycle of diminishing production can trap people in poverty. To give you an idea of our projects, Crees runs two primary long-term projects in Salvación. Both are part of a three-year project called Sustainable Manu, which is funded primarily by the Darwin Initiative. The first is our bio-garden project, which aims to improve nutrition for local families, particularly for women with young children. Instead of relying on purchasing produce that is shipped in from Cusco (at least an eight-hour journey by truck), which can be unreliable, limited in selection, and of poor quality, these families have access to fresh produce year-round in their own backyard. We provide the initial materials and labour (which comes from our staff and volunteers) to construct the bio-gardens, which we support with technical-assistance visits, maintenance visits, and workshops on themes such as controlling pests and diseases, using compost, and cooking with local products. Building the bio-gardens also provides for a great cultural exchange between local families and visitors to Manu from around the world. Just this month we began working with the Centro de Promoción y Vigilancia Comunal in Salvación to build a communal bio-garden for mothers with young children (up to 36 months), as well as mothers visiting from other communities, including Indigneous communities. In addition to providing fresh produce at no cost, it will act as a demonstration site to hold future workshops (e.g. sharing information about early childhood nutrition and anemia, which is an important issue particularly in Manu). Local community members approached us with this idea, showing that the benefits of bio-gardens are becoming well-recognized locally. Our second project is agroforestry. We work with local banana farmers in Manu to implement agroforestry, a form of farming that combines aspects of agriculture and forestry (or at its simplest, trees on farms). In our context, integrating trees with banana crops helps to diversify income, providing short, medium, and long-term income sources. Banana provides short-term income, while wood from softwood trees provide options for medium-term income, and hardwood trees provide options for income in the long term. By rotating between plots and using tree species that increase nutrients in the soil and help prevent erosion, agroforestry is a more productive option than slash-and-burn agriculture. In this way, agroforestry can help prevent a cycle in which forest is cleared and farmers struggle to maintain sufficient production and income. Planting trees on farms also gives local people the option to harvest trees on their land, rather than having to resort to cutting down trees from primary forest —which can be a reality for families trying to meet their needs, from putting food on the table to sending their children to university. 2) What positive impacts are the Crees projects having on the local community in Manu? How are they being measured? We use annual household surveys to track indicators such as income, general wellbeing, and use of products from bio gardens. Sustainable Manu is finishing up this month and we are currently analyzing data from the third household survey. We will be sharing these results (including impacts) in the coming months via presentations, reports, videos, infographics, and blog posts, as well as on our website. One of the results of initial analyses shows that agroforestry beneficiaries earn more than farmers who do not practice agroforestry, likely due to the more sustainable use of land and more regular income. A short survey with our bio-garden beneficiaries in 2017 also showed an unexpected impact of this project—when asked why they have a bio-garden, one of the main responses was that it made them happy! Apart from nutritional benefits, these bio-gardens can help give local women a sense of accomplishment, pride, and connection with other families in the community. 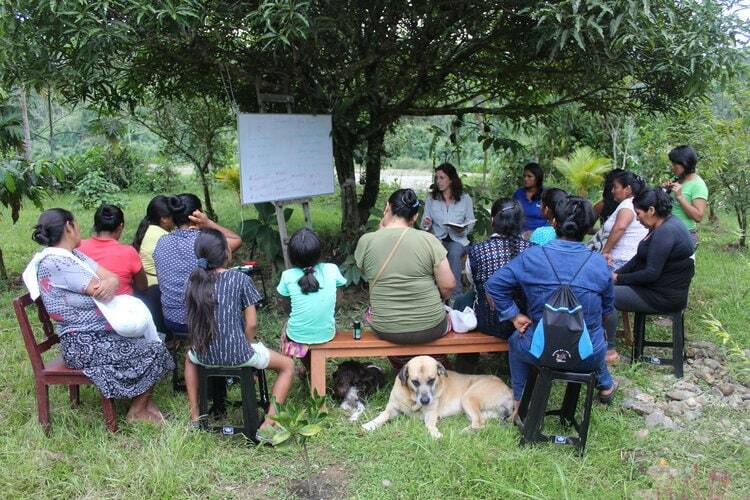 During a bio-garden workshop we held on March 15, 2018, participants shared several benefits of having a bio garden, including: constant access to fresh vegetables, organic (chemical-free) products, nutrition for their children, selling their produce for additional income, savings from not having to purchase produce from stores, along with a sense of family togetherness. 3) What positive impacts are the Crees projects having on the environment and biodiversity in Manu? How are they measured? One of the main objectives of our bio-garden and agroforestry projects is to reduce dependency on activities that use forest resources in an unsustainable way, such as slash-and-burn agriculture and extracting wood from primary forest. 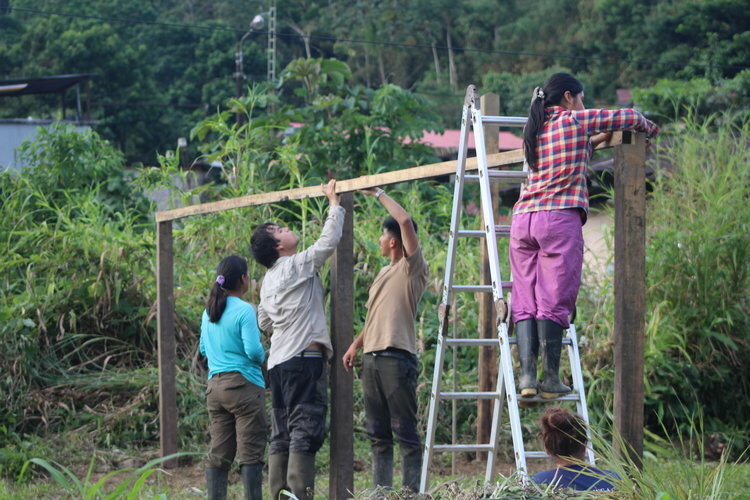 We are currently analyzing the results of household surveys to compare unsustainable use of primary forest resources and attitudes towards biodiversity and the environment between the beginning and end of the project and should be able to share these results soon. 4) Are there any negative impacts being caused by ecotourism in the Amazon? Ecotourism is currently one of the best approaches to achieve conservation and sustainable development in Manu Biosphere Reserve, but like any approach, it isn’t perfect, nor should it be a silver bullet. As in many contexts, tourism in Manu is still subject to mis-marketing and greenwashing, where tourism marketed as ecotourism does not deliver any or meaningful environmental and social benefits. Manu can cater to a variety of travellers, but too many tours targeted at backpackers may mean few or no benefits for local people in Manu and a negative environmental impact, for example, through transport and disturbing wildlife, without doing anything to help conserve Manu. We encourage travellers thinking of visiting Manu to do their research carefully; Manu is one of the most incredible places in the world in terms of nature, biodiversity, and culture, and choosing a reputable company that gives back to Manu over the cheapest tour available can go a long way towards ensuring Manu’s future. To give an example, we have a long-term project located at the Mascoitania clay lick, which monitors macaws, parrots, and parakeets that fly over or feed on the clay lick. Every year we build and maintain a shelter located at a sufficient distance from the clay lick so as not to disturb the birds, which is also open to other tourism companies operating in Manu. We follow strict protocols to reduce disturbance, such as maintaining a distance from the clay lick and arriving before the birds to ensure we don’t deter them. However, we can’t always control the behaviour of other tourist groups. 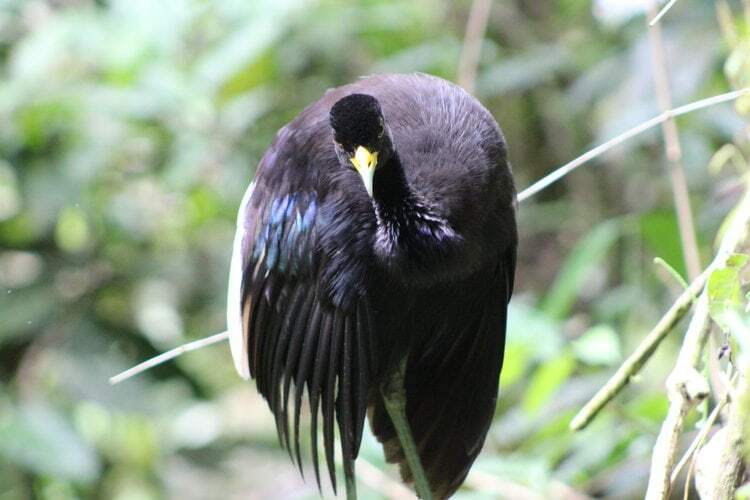 Part of our project also monitors the impact of ecotourism on these birds—to try to understand how we can best use ecotourism as a positive tool, and minimize any negative impacts, which we hope to share with tourism companies in future. By choosing sustainable tourism and thinking consciously about how our travel choices affect local communities and the environment, we can help address the impact of a long history of environmental, social, and economic harm in these regions. Thanks from Crees to both Marnie Sullivan and Kristi Foster for this interview.